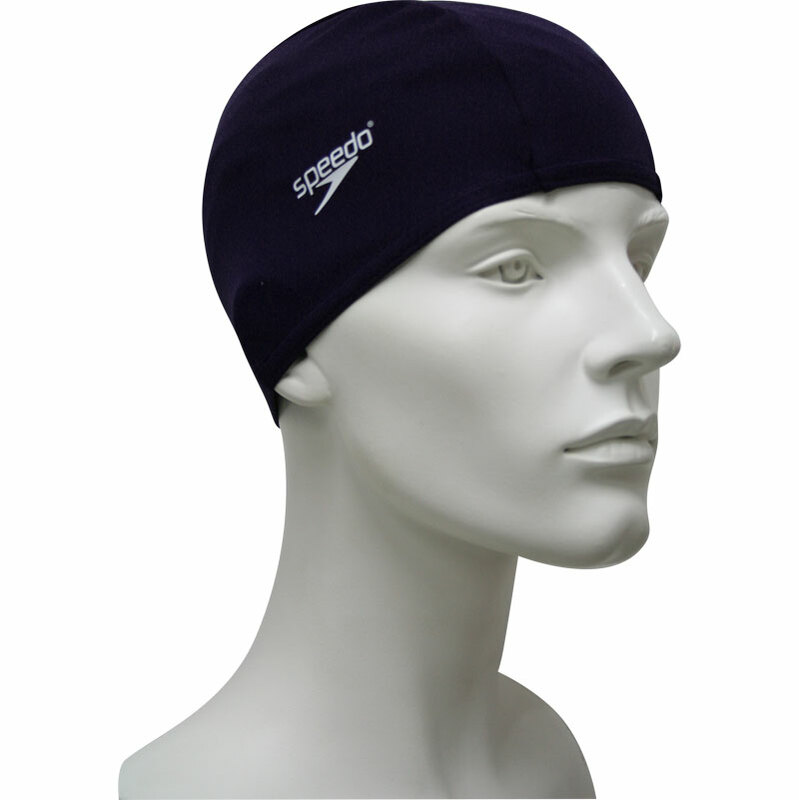 The Speedo ® Polyester Swimming Caps are an excellent alternative to the more traditional latex or silicone swim cap. The offer excellent comfort and fit in quick drying polyester fabric. Chlorine-resistant fabric makes this cap long lasting and fade resistant. The cap was waaay too small, I couldn't even get it on my head. It wasn't stretchy either, so no chance of being able to use it. I bought 2 of these for our 7 year old daughters. Though an adult size they fit well and are so much easier to take on and off than traditional "rubber" caps, and of course easy to wash too. Very happy with this product. 5 out of 5 This swimming hat does its job perfectly. This 'polyester' swimming cap avoids the troubles experience with 'Silicon' swimming caps, as it does not have the habit of sticking together when put away damp or becoming old. does the job it was intended to do. keeping my grand daughters long hair out of the way while she swims.